The Labour Party has pledged to bring train operating companies back into public ownership if it wins the next election – and will encounter fewer legal obstacles in that task once Britain has left the EU. But is taking the nation back to the days of British Rail sensible or merely ideological? Consultant Editor Nick Pigott, who in 1994 compiled The RM’s Guide to Privatisation, presents the arguments for and against. PERHAPS unnoticed by many rail enthusiasts, let alone members of the public, a poignant event took place at the end of March when Class 92 locomotive No. 92003 Beethoven was exported to eastern Europe. Nothing particularly noteworthy about that, some might say. After all, almost 200 ex-BR diesel and electric locomotives have already worked on the European mainland and about a dozen of those are Class 92s. 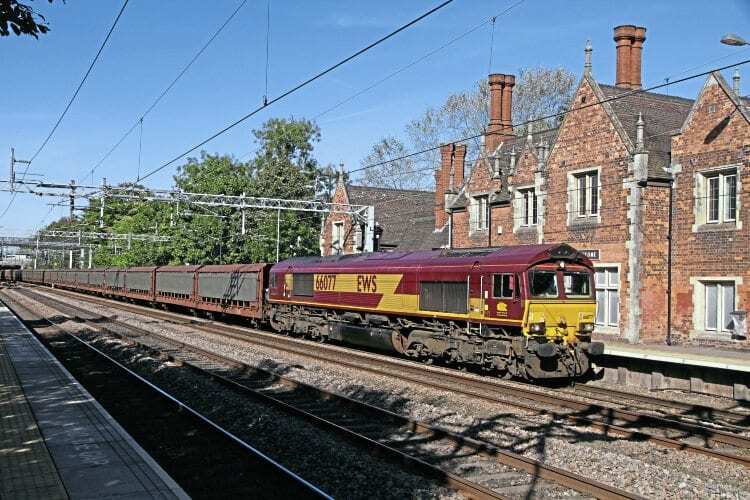 The point about 92003, however, is that it hauled the very last British Rail train of all – the 23.15 container service from Dollands Moor to Wembley on the night of November 21, 1997. That such a historically significant asset has been allowed to leave the UK for a largely anonymous life in Romania or Bulgaria is either a sad reflection on Britain’s sense of occasion or an even more depressing admission that the demise of British Rail wasn’t worth remembering. There were certainly many passengers who were glad to see the back of the nationalised industry… yet developments over the past few months suggest that an unlikely resurrection might be in prospect and that any claim Beethoven has to a place in history might soon be irrelevant. 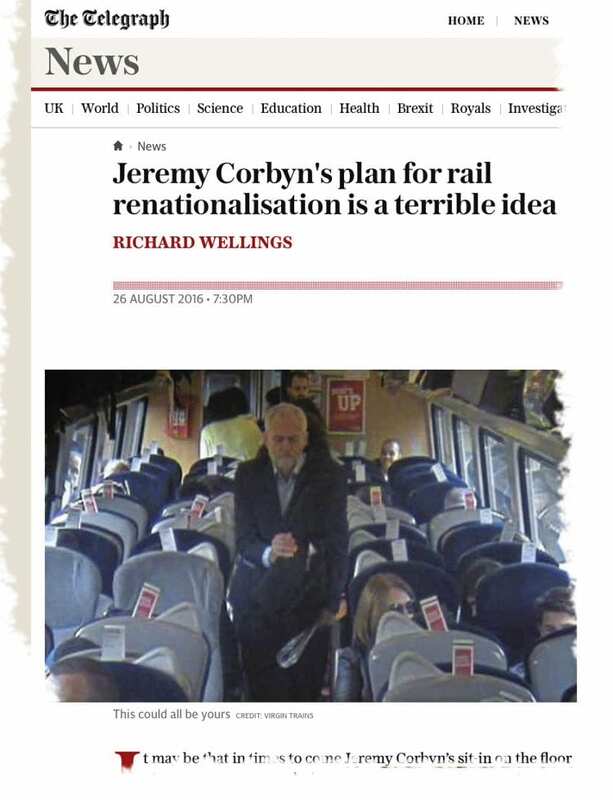 An organisation called ‘Bring Back British Rail’ has been formed and is rapidly raising its profile in the mainstream media – and the Labour Party has brought the subject of rail re-nationalisation to the very top of the political agenda by pledging to include it in its next general election manifesto. The party’s promise to re-create ‘a people’s railway’ appears to have generated an extraordinary buzz of excitement among the general public, with a YouGov poll finding that 60% of those canvassed are in favour of such a scheme. Labour leader Jeremy Corbyn and senior colleagues such as Diane Abbott speak regularly of “taking the railways back into public ownership”. However, there are two rather important facts that need to be stated before this article goes any further. ■ Firstly, the railway itself already is nationalised! RM readers will recall that the infrastructure was effectively taken back into state control in 2002 when a previous Labour administration formed Network Rail (NR) as a ‘not-for-dividend’ company… and it was fully nationalised 12 years later when the Coalition government converted it into a full public-sector body. ■ Secondly, the train operating companies are also already publicly owned! Despite what a remarkably high proportion of British voters seem to believe, the Conservative government of the 1990s and its successors never actually sold them off. The companies are only franchised to private enterprises, not owned by them. In fact, it will be by choosing not to re-let the franchises when they come up for renewal that Labour is planning to take back control of passenger services – something it says it will be able to do at virtually no cost to the public purse as there’ll be no need to pay compensation for doing so. However, if the current Government runs its full term, it will be May 2020 before a start could be made on implementing this policy, and in the five years beyond that, only six of the 15 franchises controlled by the Department for Transport (DfT) are due to expire. Most of the other nine are likely to be renewed on fairly long terms before then, meaning that Labour’s ‘re-nationalisation’ could be restricted to well under half the network unless it’s prepared to risk spending public money buying out the remaining franchisees. The six train operating companies (TOCs) in the firing line are Chiltern and Govia Thameslink (both due to expire in 2021), ScotRail (2022), East Coast and TransPennine (both 2023) and Northern (2025). So, talk of re-nationalisation is a misnomer – and made all the more so by Labour’s assurance that it has no plans to buy back the freight companies, which reside fully in the private sector. Only if a future left-wing government were to seize the rolling stock leasing companies would it actually have re-created the majority of what used to be known as British Rail… and such a takeover is considered highly unlikely as it would cost taxpayers billions of pounds in purchase and compensation costs. Taking all the foregoing into account, there might seem little point in continuing with this article, but as the old adage goes, why let the facts get in the way of a good story! As the subject is a source of considerable anger and controversy at the moment, we will aim, in keeping with The RM’s traditional neutral stance, to present the views of both sides in what will hopefully be seen as an impartial and objective manner. A publicly owned, publicly accountable railway has long been Labour’s default position and has been regularly backed by the party’s conferences, but during the Blair, Brown and Miliband years, it wasn’t always seriously pursued as there were greater priorities. It’s only since the elevation of Jeremy Corbyn to the leadership that the policy has become one of the main planks of the party’s election manifesto proposals. Says Corbyn, who reads rail periodicals and reportedly doesn’t own a car: “We know there is overwhelming support for a People’s Railway, proper integration and fairer fares. Under my leadership, Labour will commit to public ownership, run on a not-for-profit basis by passengers, workers and government – and we will take the trains back into public ownership when the franchises lapse so that we don’t have to pay the private train companies a penny in compensation. Such views are naturally dismissed by those on the opposite side of the political spectrum, particularly as profits are usually only 1 to 3% of turnover after payment of Government premiums, but anyone needing a glowing endorsement of the privatised railway from an unexpected source need look no further than comments made by leading trade unionist Lew Adams. “I was vehement that we wanted to stay in the public sector… but today I cannot argue against private entrepreneurs coming into the rail industry. We are running 1,700 more trains per day since it was privatised. The entrepreneurs have built traffic to the extent that we are having to build more infrastructure. What is true is true: £4.2billion spent on new trains. We never saw that in all the years I’ve been in the rail industry. Contrasting political views from the left-wing Mirror and the right-wing Telegraph. There are many millions of people in Britain, including tens of thousands within the rail industry itself, who agree with the sentiments expressed by Mr Adams, but there are probably just as many sharing the views of Mr Corbyn and his supporters. There is no doubt that constantly rising fares, overcrowding and the recent bitter dispute over driver-controlled door-operation (DOO) on certain franchises has brought the entire concept of privatised rail into disrepute among large sections of the British public, resulting in a huge wave of nostalgia for British Rail. But how many of those suffering commuters are old enough to actually remember travelling on BR in its pre-1990s heyday? Although it might seem to some RM readers to have been only ‘five minutes’ since the privatised railway began, it will be a quarter of a century old by the time of the 2020 general election – exactly the same age as ‘Big Four’ companies such as the LNER and LMS! Hardly surprising, therefore, that many of the younger commuters and politicians complaining today about delayed trains and suchlike don’t recall what life used to be like. Complaints about fares and services were particularly rife during the BR period and therein lies one of the nubs of the problem, for (temporary local strike problems aside) the present generation needs to be careful what it wishes for; it might actually end up with something worse. Although rail enthusiasts and locomotive aficionados naturally have extremely fond memories of BR, it’s too easy from a 2017 standpoint to over-romanticise the years of nationalised rail. After the optimism and state investment of the 1950s had produced major fleets of new locos, smart new carriages, bright colour schemes, glamorous titled trains and the genesis of modernisation, the ’sixties brought the savage cuts and line closures of the Beeching era followed by massive rationalisation and a general feeling of anti-climax and retrenchment. 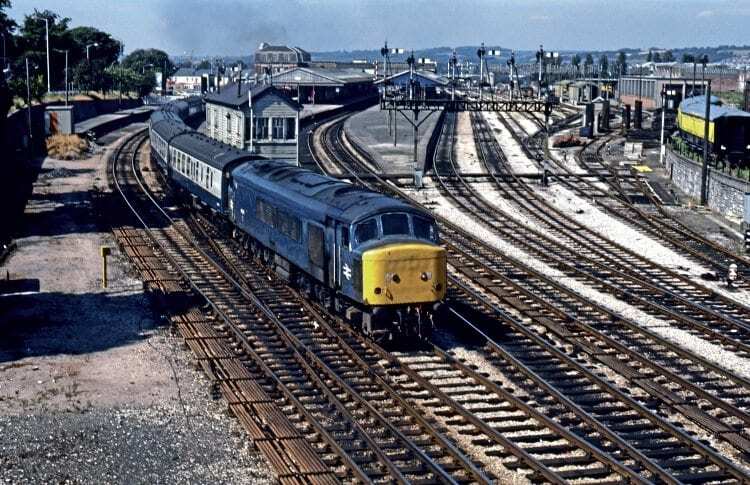 True, the state network benefited from electrification schemes, the introduction of HSTs and numerous other improvements during the ’seventies and ’eighties, but it also suffered from endless reorganisations, stop-start investment and some questionable management decisions. 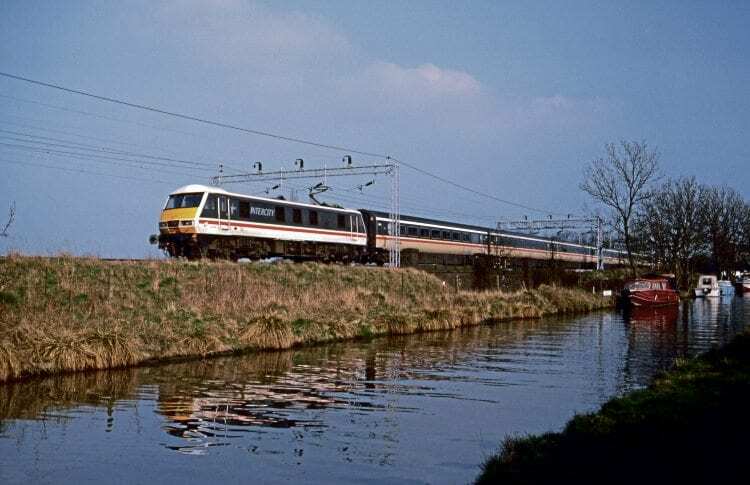 InterCity was a success story, but away from the prestigious arterial routes, many people’s memories are of shabby trains and stations, cancellations, union strife, poor customer service and, in many places, non-existent or vandalised facilities. Basically, BR was too large to be run efficiently and contained too many layers of management. Matters began to improve in the 1980s with the creation of business sectors such as Network SouthEast, the replacement of most of the first generation DMU fleet between 1985 and 1993, and the profit-centre scheme established under the 1992 Organising for Quality initiative, but most parts of BR remained heavily loss-making. The business had been starved of decent investment by successive governments for years and the staff were consequently low in morale. Not for nothing was it nicknamed ‘British Fail’ by the more acerbic performers on the nation’s comedy circuits. Hardly surprising, therefore, that when John Major’s Conservative government decided to sell it off under the terms of the Railways Act 1993, it did so on the basis of what ministers described as “a managed decline”. 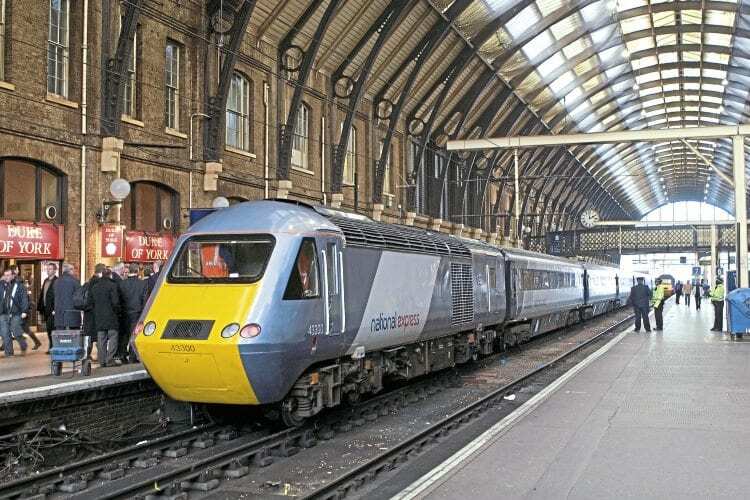 What they and many others totally failed to predict was that over the next 20 years, the privatised railway would result in passenger journeys shooting up from 760million in 1995 to 1.65billion now – the highest peacetime figure for almost a century. 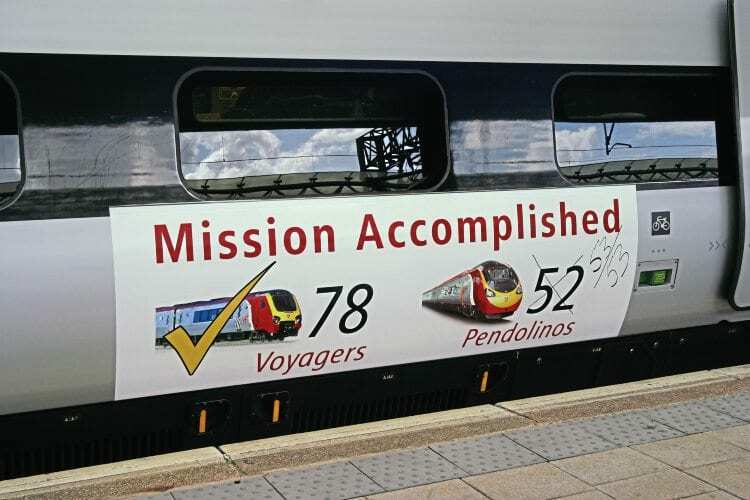 ■ Franchising, competition and business pride have between them brought about the most improved railway in Europe, as evidenced by the doubling of passenger numbers, the huge fleets of new trains and punctuality figures at record levels. ■ Britain’s railway is the safest in Europe and has been since the last passenger died in a crash more than 10 years ago. ■ Since the mid’-nineties, almost 130 new stations have opened or reopened and a staggering 12,000 multiple unit vehicles and locomotives have been built – almost certainly more than would have been the case under BR. 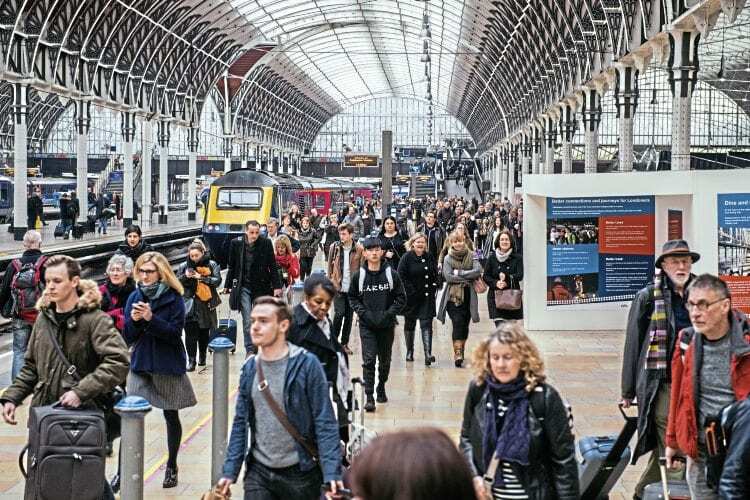 ■ The Government is responding to the booming passenger figures by overseeing the largest sustained rail upgrade programme since the Victorian era. ■ The regulated franchise system provides ‘the best of both worlds’ by combining private enterprise with a DfT-specified and subsidised public service. ■ Train operating companies made a net contribution of £817m to the Government in 2015/16 – the largest amount since privatisation began. ■ BR was too large and suffered from a chronic lack of access to investment funds, whereas privatisation attracts external investment. ■ There are 3,800 more services a day than there were 15 years ago. ■ Train frequency on many main and secondary routes today is almost twice the level of BR days. ■ Through ticketing has largely continued despite the existence of different TOCs. ■ State ownership would almost certainly result in an eventual return to ‘feast-and-famine’ funding problems. ■ Privatised rail freight has been a success without public subsidy and in spite of being hit by forces beyond its control, such as the almost total loss of coal traffic. ■ Businessmen and women, by their nature, have more of a vested interest in efficiency and customer service. ■ Strikes in a nationalised industry tend to bring the whole system to a standstill rather than just the part run by one affected operator. ■ Those advocating renationalisation are doing so for purely ideological reasons, not because it’s necessarily better for the industry. Somewhat ironically, the latter claim was also made against the Conservatives in 1994. At that time, there were two opposing schools of thought about the impending privatisation. Left-wingers believed it was a purely ideological move by a Tory party hell-bent on change for change’s sake and that it would result in timetable chaos, mass line closures, loss of through ticketing, asset-stripping of town centre stations and the unleashing of another two million cars onto the roads. Those on the right of British politics took the view that ‘small is beautiful’ and that the pride and greater accountability that comes with privately owned, market-driven companies would benefit passengers and freight customers. 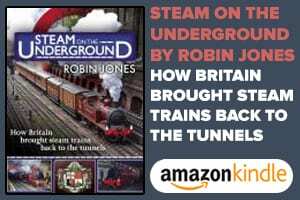 They considered that the hundred or so companies into which BR was being divided would bring expansion in the form of reopened stations, new trains, extended depots and improved infrastructure. The new arrangements got off to a dubious start as franchises began to fall into the hands of rail’s traditional enemies, the bus operators. 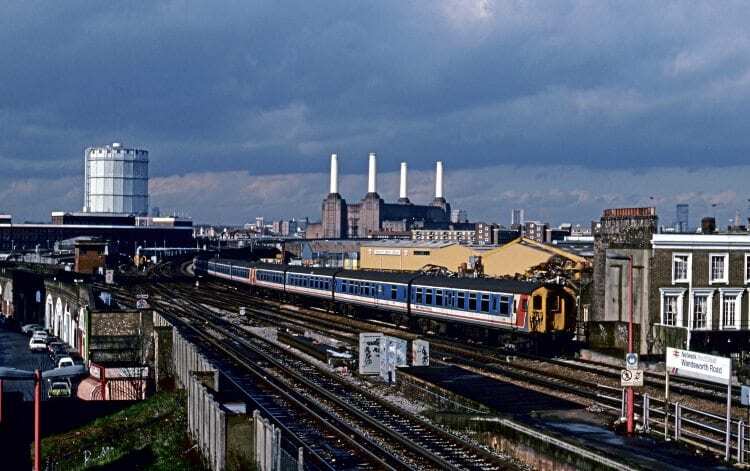 There were also cases of gross profiteering by executives of the rolling stock lease companies, compounded by the failure of those firms to order any new trains for 1,064 days in the mid-‘nineties, preferring to sweat their inherited BR assets for as long as possible. During that ‘famine’, the British train-building industry came close to annihilation. However, in the 20 years since then, the privatised industry has more than compensated – the passenger and freight fleets have been completely renewed (albeit with the majority built abroad), scores of new maintenance depots have been opened with others modernised or enlarged, and no major passenger lines have been closed. In addition to the many reopened and enlarged stations, the nation can boast all-new routes in HS1 and Crossrail, with more in the pipeline, and the vast numbers of new DMUs, EMUs and locos have resulted in almost total replacement of the national fleet. “We are undertaking the biggest rail modernisation programme for more than a century,” says Transport Secretary Chris Grayling – yet despite all that, the strength and passion of political feeling on both sides has remained largely unchanged. Many in the pro-nationalisation camp claim that the doubling of passenger figures since the mid-1990s is not due to privatisation at all but to the growth in the UK’s population, gross domestic product and commuting increases during that time, and that British Rail would therefore have enjoyed exactly the same boom if it had been left alone. That, of course, is a hypothetical statement that’s impossible to quantify and has generated heated debates in pubs, clubs and the letters pages of railway journals ever since, but one way of answering it is to recall that passenger figures had plummeted from a billion a year in 1950 to just over half that in the 1980s and the government of the day fully expected the downward trend to continue. The reasons for the unexpected outcome are indeed varied (not least the congested state of the nation’s roads), but the boom has nevertheless taken place during the years of privatisation and there are many who insist that that’s no coincidence. Against it must be seen the rise in government subsidy support – which in the same period has also doubled to the present £4.8bn a year (having peaked at £7.3bn in real terms in 2007) – and fares have consistently risen faster than inflation as successive governments attempt to transfer more of the railway’s cost burden onto its users. The balance used to be roughly half and half but in the past nine years, the emphasis has shifted so that passengers now pay an average three-quarters of fares and the Government only a quarter. Action for Rail, a campaign involving the Trades Union Congress and the Aslef, RMT, TSSA and Unite unions, says that all but one of the private train operators receive more in subsidies than they return to the Government in franchise payments. 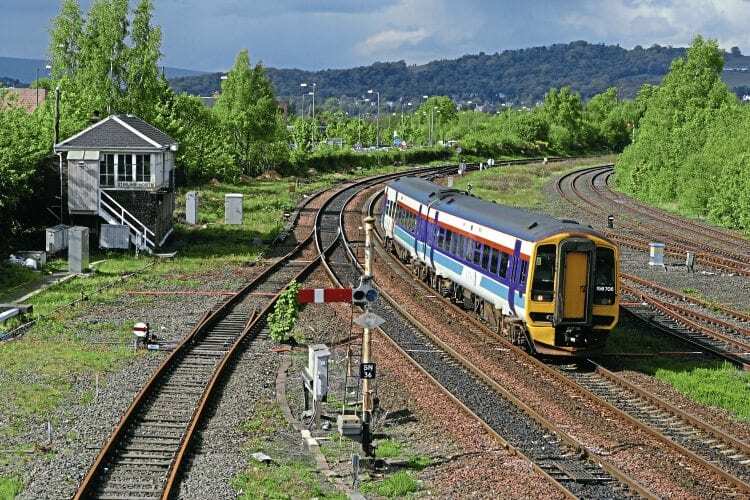 Pro-privateers, on the other hand, point out that subsidies are likely to have to continue into the future regardless of what type of railway emerges because, without them, frequency cuts or even permanent line closures would almost certainly result, especially in rural areas. ■ Large operator profits and high salaries of rail company bosses. ■ Expensive, complex and confusing ticketing structure. ■ Difficulties in long-term planning and reduced incentives to invest due to limited-length franchises. ■ Lack of genuine competition over most passenger routes. ■ Fragmentation causing poor connections and an alleged £1.2bn wasted every year through inefficient interfacing of TOCs with each other and with NR. ■ Political interference by unelected EU bureaucrats. ■ The fact that foreign state-owned rail companies are allowed to hold UK franchises while their British equivalent is prevented from doing so, unless a franchise fails. 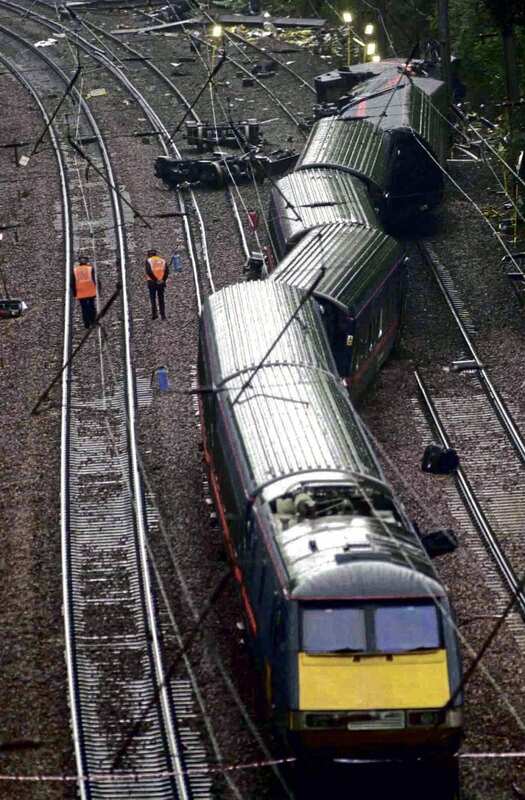 ■ The terrible accident record of the privately owned Railtrack – plus the civil engineering ‘meltdown’ resulting from the Hatfield crash 17 years ago. ■ Safety risks said to result from profit-driven cost-cutting and sub-contracting. ■ Operators said to be more interested in their punctuality figures than in providing maximum passenger benefits. ■ Large amounts of wasted light engine mileage due to absence of a commonly owned loco pool. ■ The success of state-owned Directly Operated Railways in running the East Coast franchise for five years. Directly Operated Railways (DOR) was set up by the Government as an operator of last resort when National Express ‘handed back the keys’ after failing to make a financial go of it in 2009. DOR ran the Anglo-Scottish service from then until 2015 before re-privatisation by the then Coalition government and is being held up by Labour as a model for other franchises to be run on similar terms. Also exemplified as proof that state control works are the taking of track maintenance in-house by Network Rail and the virtually crash-free period enjoyed for most of the 21st century so far – one of the safest eras in the entire history of world railways. However, both sides of the political spectrum can justifiably claim some credit for that; the pro-nationalisation lobby in NR’s so-far remarkable record and the Labour government’s introduction of the TPWS safety system, while the anti-nationalisation side can take pride in the equally impressive safety record of the privately operated trains during the past decade, unmatched by anything BR was able to achieve. The £1.2bn ‘wastage’ claim is vehemently rejected by the Rail Delivery Group (formerly the Association of Train Operating Companies), which points out that the figure includes the cost of leasing trains from rolling stock owners, fees paid by NR to private sub-contractors – which it still uses in addition to its own in-house team – and certain track access charges. In any case, BR also had a reputation for wasting money, especially in inter-departmental and inter-regional squabbles. Not only that, but the average profits of franchised train operators have halved from 4 or 5% in the early years of privatisation to barely 2% now, for which considerable investment is required. Small wonder that companies such as National Express, which once held no fewer than nine franchises, have pulled out of the rail industry altogether. The most likely form of organisation to emerge from Labour’s proposed restructuring would be a co-operative run by a management composed of members representing government, industry, passenger bodies and rail unions. 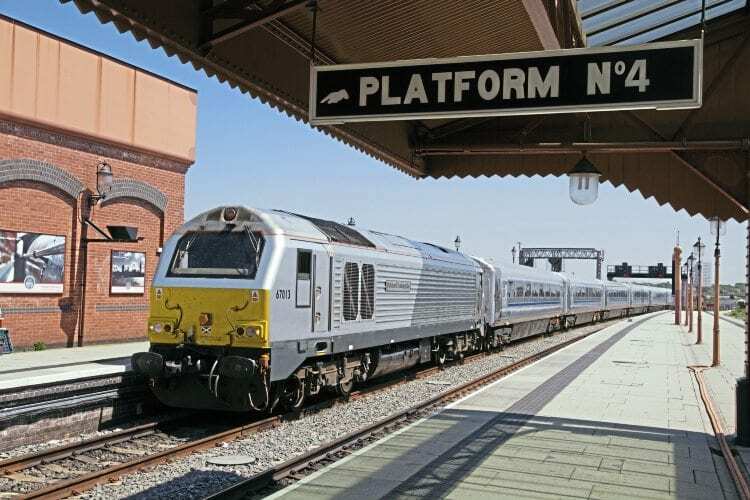 No name has been put forward for such a body yet, although Andy Burnham, when campaigning for the party’s leadership in 2015, said he would have called it National Rail (currently the marketing term used collectively by the TOCs). In an RM readers poll conducted soon after the Hatfield disaster, 40% voted for a return to a situation similar to the ‘Big Four’, with vertically integrated private companies divided geographically. Only 24% wished to see the entire industry re-nationalised. 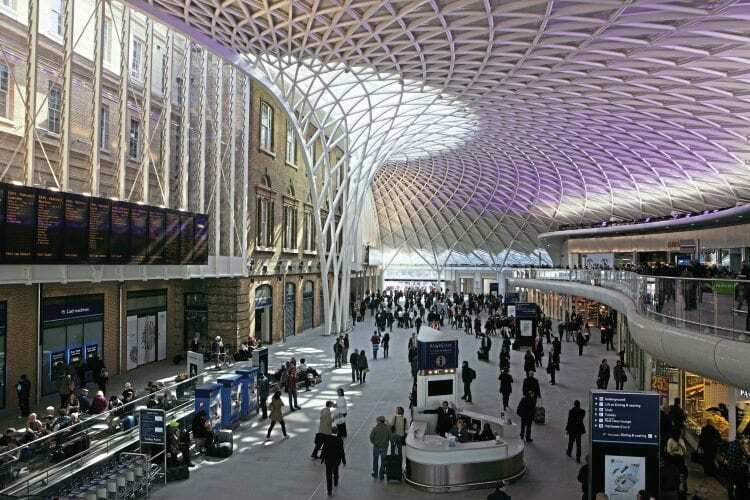 The results were forwarded to Deputy Prime Minister John Prescott, including the fact that 15% voted for the option his government eventually chose – to nationalise the infrastructure operator but keep the operating, leasing and other businesses in private hands. Interestingly, the socialists’ task has been made a great deal easier by the outcome of last summer’s European Union referendum. For in voting by 52 to 48% to leave, the British electorate has unwittingly made the prospects of a 21st century version of BR more likely. As members of the EU, Britain has had to abide by its regulations, but the ‘Brexit’ vote could prove to be a complete game-changer by removing many of the obstacles that would have made a reunion of trains and tracks problematical. It wouldn’t have been totally impossible to instigate such a change under pre-referendum conditions, but the EU’s policy is to separate the management of tracks and trains and open up national freight and passenger markets to competitive tendering and full cross-border competition. Once Britain has reverted to sovereign nation status, there will in theory be little to prevent Labour reversing the process introduced by their political rivals between 1992 and 1997. At the moment, UK state-owned bodies are prevented from holding franchises (except in the event of sudden failure of an operator, as happened with East Coast), but somewhat perversely, the restriction does not apply to the state-owned railways of other countries. This has resulted in offshoots of Deutsche Bahn (Arriva), Nederlandse Spoorwegen (Abellio) and the passenger arm of Italian state railways (Trenitalia) currently owning stakes in Britain’s railway. A new-liveried HST on launch day of the National Express East Coast franchise on December 9, 2007, at King’s Cross. Their tenure of the franchise didn’t last two years, and the ‘keys’ were handed back on November 13, 2009. The Liberal Democrats also disagree with the way foreign public-sector operators are allowed to win franchises but take the view that a return to full renationalisation would jeopardise the large amount of private investment that’s been pouring into the UK’s railways in recent years. Green Party MP Caroline Lucas gave a hint that European railways might still have a say in the UK’s rail future when she explained that her party’s policy “wouldn’t result in a throwback to a 1970s British Rail. The modern, clean, affordable services enjoyed in other parts of Europe offer a much better blueprint than our own past,” she comments. The RMT union would like to see Labour go a step further and return freight to public ownership as well as passenger traffic. 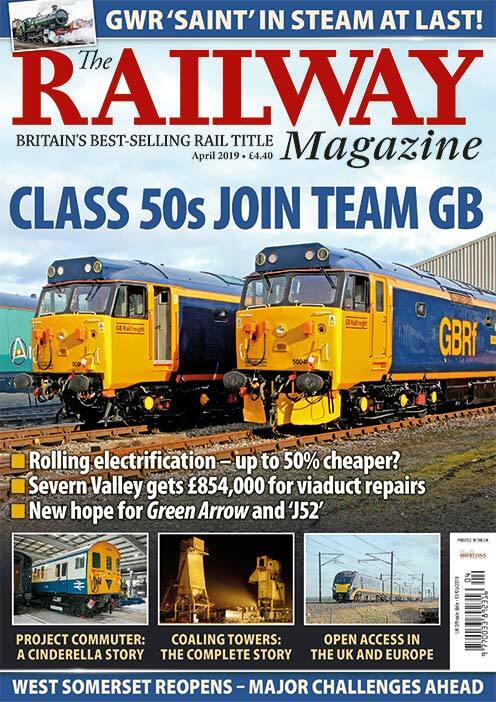 It is calling for the UK arm of German-owned DB Cargo (Britain’s biggest railfreight operator) to be nationalised. Calling for a railway that puts “people before profit”, Aslef union leader Mick Whelan believes that as much as £1billion a year could be saved by removing franchise interfaces, transaction costs, debt-servicing and dividend payments, resulting in lower fares and subsidies. He accuses the Tories of “pure political dogma”, while Shadow Transport Secretary Andy McDonald’s opinion is that privatised rail has left the nation with “a fragmented and inefficient network that drives up costs and under-delivers”. The first ScotRail franchise was won by National Express in 1997 and at its height ran nine franchises, but 20 years on the company no longer has any rail interest in the UK. No. 158706 arrives at Stirling on May 14, 2003 with a train from Inverness to Glasgow Central. It is perhaps fair to say that if the Major government had opted for completely unregulated privatisation in the 1990s, unprofitable services would probably have been at the mercy of unshackled free-market cost-cutters, but by introducing a contractual system overseen by a franchising director and a rail regulator, the Conservatives effectively safeguarded the nation’s extensive timetable and ensured the continuation of late-night and other lightly used services. Today, the DfT specifies the level of public service it feels a civilised country like Britain should enjoy and the franchisees are paid to provide those trains on behalf of the Government, whether they want to or not. However, so fast-moving is the world of politics at the moment that the situation Labour will inherit if it does win the 2020 election might bear little relation to today’s state of affairs anyway. Firstly, the whole process of franchising is currently undergoing great change under the present Government and could ultimately make the Corbyn renationalisation plans seem rather academic. 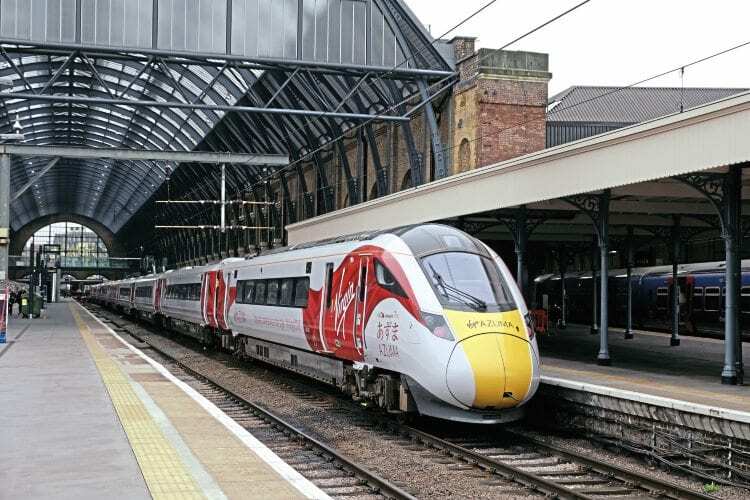 The ‘Pendolinos’ were introduced from 2002 and, more than two years later, 53 sets had been delivered to Virgin Trains, bringing a transformation to services on the West Coast Main Line. This is because the DfT has, since the abolition of the Strategic Rail Authority in 2006, become more prescriptive in specifying the terms and conditions franchisees must meet, especially where finance, timetabling and passenger benefits are concerned. In the early years of privatisation, TOCs were allowed a reasonable amount of freedom to introduce innovative ideas, but some of today’s franchises are basically management contracts, causing industry observers to comment that the so-called private companies are more tightly controlled by ‘meddling civil servants’ these days than they ever were in the days of BR! In fact, the huge TSGN (Thameslink Southern Great Northern) operation, run by Govia Thameslink Railway, is officially a management contract, not a franchise, and the close day-to-day involvement of the DfT in passenger services generally is said to be one of the reasons why recent franchise renewals have attracted so few bidders compared with earlier years. Add low profit margins and the huge up-front capital sums required simply to place (let alone win) a bid these days and it’s small wonder that foreign state-owned railways are often the only organisations with enough financial clout to bother applying! Secondly, the West Coast Main Line franchise currently run by Virgin Trains is to be transformed by the inclusion of the controversial HS2 high-speed line project. 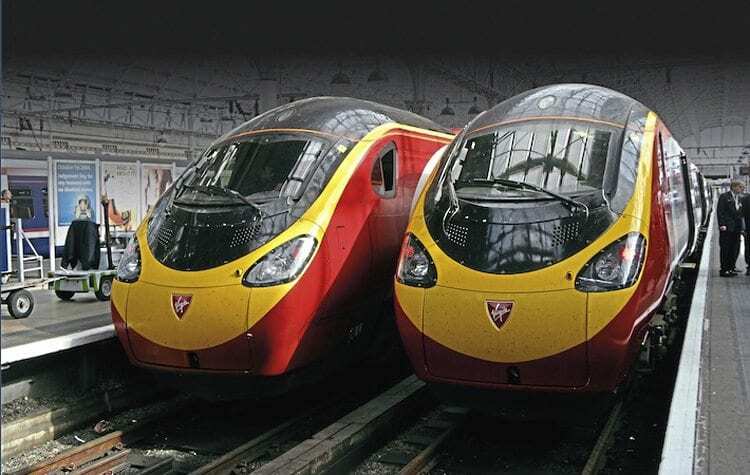 Starting on April 1, 2019, a franchise combining the two will see the successful bidder take over WC while acting as shadow operator for the London to Birmingham high-speed line. 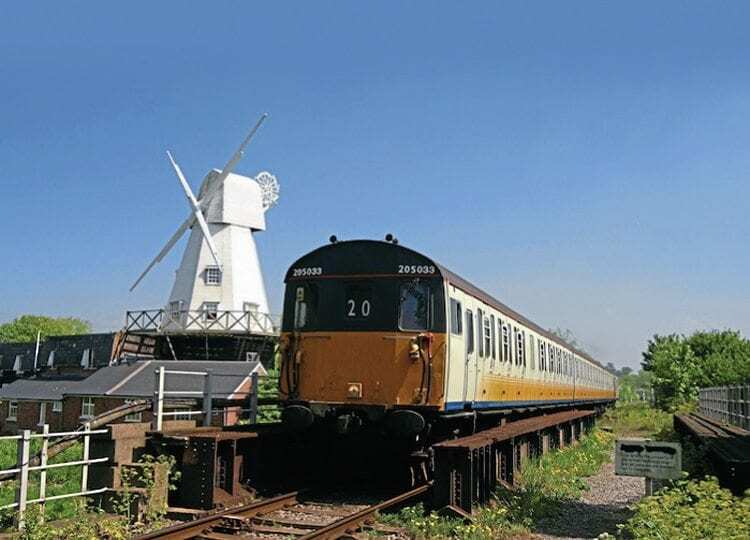 From 2026 (the year HS2 is due to open if it’s built on schedule), the franchisee will run services on the new route for a minimum of three years. Thirdly is a report by the Commons Transport Select Committee in February this year, which stated that rail franchising is “unlikely to be sustainable in the long term and is no longer fit for purpose without major reform”. The report coincided with an announcement from the Rail Delivery Group that a trial is to start this spring aimed at informing passengers of the cheapest fares, to save them the trouble of having to work out cheap split-ticketing deals for themselves. Fourthly are recent moves by Transport Secretary Grayling for the restructuring of Network Rail itself – moves that have been described by RMT general secretary Mick Cash as a “slippery slope to privatisation and the break-up of NR”. Grayling wants to create a “more joined-up railway” by reuniting the operation of tracks and trains in a form of BR-style vertical integration, beginning with joint management teams at East Midlands Trains and Southeastern when new franchisees take over those operations in mid-2018. His policy – which dates back to his time as Shadow Transport Secretary a decade ago – will speed up reforms NR has been introducing in recent years with its trial of ‘deep alliances’ at South West Trains and ScotRail and its devolution of most decision-making powers to regional routes, each with its own managing director. Admitting that many passengers are unhappy with the service they are receiving, Network Rail chief executive Mark Carne announced a further move in February with the formation of a Western Route Supervisory Board, on which will sit representatives of NR, Great Western, Heathrow Express and the passenger watchdog Transport Focus. But the group might itself be forgetting that in moving closer to vertical integration, Conservative Mr Grayling could ironically be making his political rivals’ re-nationalisation task easier if NR is still in the private sector by the time of the next election. For if Labour is returned to power, it would metaphorically have little more to do than change the flag above the headquarters building. In a previous example of irony, of course, it was the David Cameron-led coalition government which, in 2014, effectively nationalised Network Rail – although to be fair, the Treasury was keen to keep the firm’s £34bn debt off the public-sector borrowing requirement and the reclassification went ahead mainly as a result of EU rules relating to state aid for domestic private industry. Increased private investment is being actively sought, but Mr Grayling denies that he is intending to privatise Network Rail or any part of it. However, in recent weeks he has made a further radical announcement… that the new East-West Railway to be opened between Oxford and Cambridge will be financed, built and operated not by the usual NR-plus-franchisee method but entirely by the private sector, presumably with no DfT involvement on fares and suchlike. 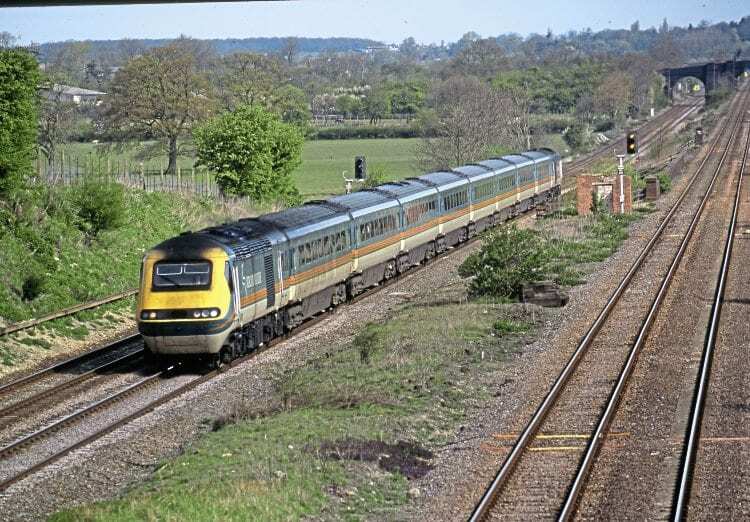 This dramatic departure from the norm – while extremely welcome insofar as it provides a much-needed inter-city route bypassing the capital – does raise the spectre of a two-tier system should the new line’s operator later be allowed to run existing sections of the national network. Complicating Labour’s intention still further is the fact that not all passenger operations are specified by central Government. London Overground, for example, is a concession whose fares and service levels are set by Transport for London, not the DfT, with the present concession-holder being Deutsche Bahn subsidiary Arriva Rail. Another operation lying outside the sphere of DfT is Merseyrail, which is under the control of the Merseytravel Passenger Transport Executive. That franchise is currently run jointly by Abellio (Dutch Railways) and Serco. North of the border, the Scottish government’s Transport Scotland is the letting and regulatory authority for ScotRail, which is also run by Abellio, and the Scots make no secret of their desire for even greater rail devolution. The Welsh franchise, operated by Arriva, is devolved to the Welsh assembly although the DfT remains the procuring authority. So, major shifts in franchise management are already taking place. Yet despite the fact that the nation still owns the network and most passenger operations apart from open access clients like Grand Central and Hull Trains, the perception among many members of the public is that the railways are still fully privatised – and that belief is reinforced not only by the Corbyn election pledge but by what they read in popular tabloid newspapers such as the Daily Mirror. The Mirror, traditional supporter of the Labour party, has thrown its weight behind the cause by launching a public ownership campaign. 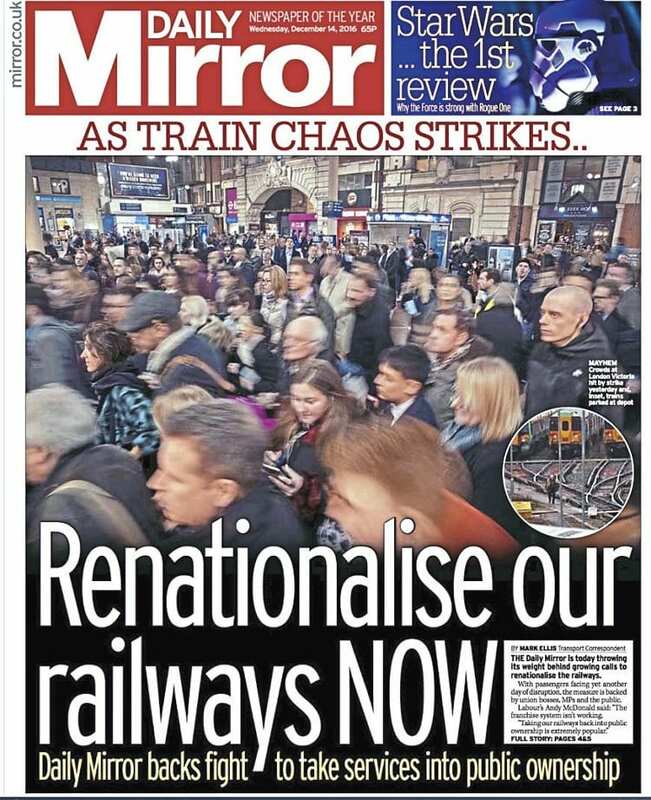 Under a front cover banner headline on December 14 last year screaming ‘Renationalise our railways NOW’, the paper quoted RMT union leader Mick Cash as saying: “The Tories love state ownership of the railways as long as it’s any state but Britain. Passengers foot the bill with the highest fares in Europe for the worst services while profits are siphoned off to subsidise fares in France and Germany. It is time to end this madness.” The re-privatisation of the East Coast franchise in 2015 was, adds the Mirror, “ideological sabotage”. 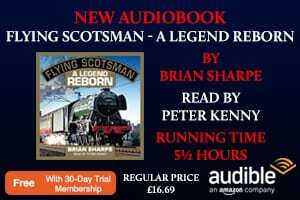 He is backed up by rail historian and music impresario Pete Waterman, another user of the West Coast for many decades, who is on record as saying: “The service on the West Coast today is the best I’ve ever seen in all my travelling life. It is superb. The trains are full and pretty well punctual every week. “I travelled on the nationalised railway for 25 years and it was a disaster. If Jeremy Corbyn had travelled on as many trains as I have, he wouldn’t want to go back to the way it was in the 1970s and ’80s. The rolling stock got older, fell apart, ran late. Even the former chief executive of DOR, Michael Holden, is on record as saying that East Coast “worked despite being in the public sector, not because of it!” East Coast paid £1bn back to the Treasury over five years, but its successor, Virgin East Coast, is tasked with paying £3.3bn over eight years. Alex Wild, of the Taxpayers’ Alliance, agrees that state-owned industries have their problems: “The DfT-operated East Coast worked reasonably well over a reasonably short period of time, but the problem with nationalised industries is that their problems tend to manifest themselves over longer periods. The fact that Labour lost a general election just three years after creating British Railways and therefore didn’t live to see its ‘baby’ through its infancy underlines Mr Wild’s point about long-termism. Successful examples of privatisation often quoted include Chiltern Railways – whose long 20-year franchise has paid off handsomely with the total transformation of the once-moribund Marylebone route – and Switzerland, which has the best reputation of all for punctuality and efficiency even though it has a higher proportion of private railway companies than any other country in Europe. On the other hand, New Zealand set a precedent for Labour when it re-nationalised its railway in 2008, a mere 15 years after privatising it. All operations were transferred back to the state and re-branded Kiwi Rail, with a Government spokesman blaming “asset-stripping and trading scandals” for the decision. Compared with the size and complexity of the British network, however, New Zealand’s is tiny and it would be unwise to try to draw too many parallels. As for the anti-privatisation side’s claim that the UK has the highest fares in Europe, this is misleading, says Mark Smith, a former BR official now known to thousands of rail travellers at home and abroad as ‘the Man in Seat 61’ due to his money-saving ticketing website of that name. He and others point to the fact that high fares are designed to derive maximum revenue from business travel and that Britons are also able to enjoy some of the best bargain-basement advance deals anywhere in the continent. 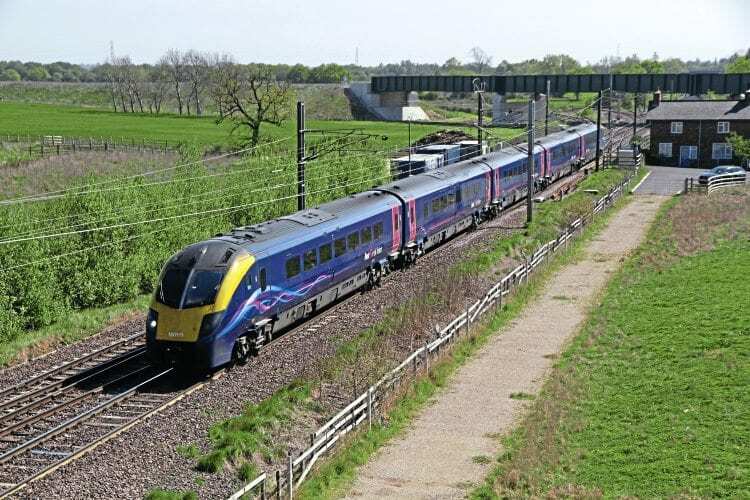 Although some of the UK’s walk-on fares are eye-wateringly high, most people consider them infinitely preferable to the airline-style compulsory advance bookings required for inter-city trains in many other nations. If Britain was to adopt a similar policy in pursuit of cheaper tickets for all, it would destroy a ‘turn-up-and-go’ service that is currently the envy of millions of overseas long-distance travellers denied walk-on facilities or frequent services. Commuters having to stand in a crowded rush-hour train might find it hard to agree, but most UK rail-users are of the opinion that lots of two- or three-car trains run regularly throughout the day, evening and weekends are preferable to one eight- or nine-coach train run every two or three hours. It is debatable whether BR would be running such a frequent service on so many routes if it had remained in existence until today. Another tenet of the privatised set-up is the ability of independent operators and charter firms to gain access to the main line network via the open access system. One of those companies is Riviera Trains, whose Charles Paget told The RM: “I don’t believe Britain would have the successful and varied charter scene it has today if BR had continued. 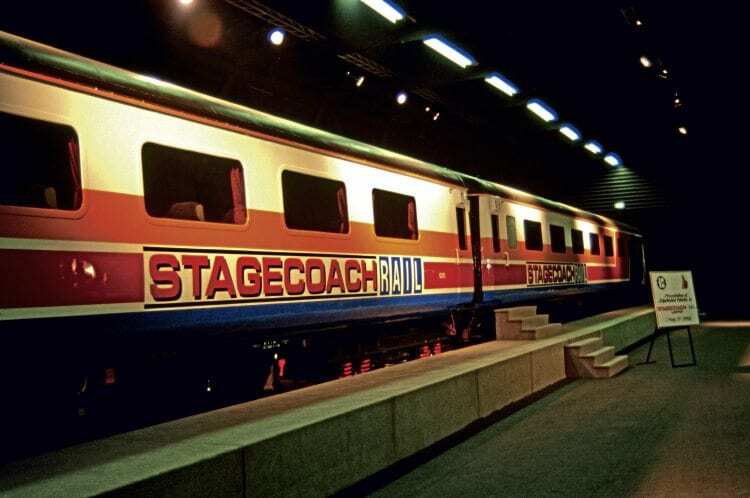 Special trains were limited to just one a day in the period before the sell-off and I believe most of the remaining Mk1 coaches would have been scrapped by now. Although the Labour party claims it would cost relatively little to take expired franchises back into public ownership, most devotees of privatisation are concerned that the unravelling of numerous other legal agreements and regulations would result in massive unforeseen costs… and that subjecting the industry to the chaos and upheaval of yet another huge reorganisation would be change for change’s sake and not in the best interests of staff, passengers, freight customers or taxpayers. So, what can be learned from the foregoing? Labour’s original nationalisation policy of the late-1940s was partly in response to the dire straits major industries such as railways and collieries found themselves in after the physical and financial battering they had suffered in the war. Massive investment was required to rehabilitate and modernise the systems… investment only a government could realistically provide. The current state of affairs bears little relation to those dark days. After a shaky start, the present combination of private and public owenership has been running relatively smoothly over the past 10 years or so and there is a strong case for saying ‘if it’s not really broken, why try to fix it?’ However, no-one would argue that the privatised industry is perfect – far from it. Change has been a constant theme throughout the history of railways and evolution is nothing to be afraid of, but we should be wary of ‘change for change’s sake’ as there are positives and negatives on both sides of the re-nationalisation debate. Both factions make some valid points – and are very adept at making statistics support those points – but what is abundantly clear above all else is just how deeply entrenched many people’s views are. The fact that an opinion is strongly held doesn’t necessarily make it’ right’ or ‘wrong’. The privatised railway has its strong and weak points, just as the nationalised British Railways did and just as the ‘Big Four’ and pre-Grouping private companies did. Most importantly, a good and efficient railway is a product not so much of its type of ownership but of the quality of its management. It is therefore difficult to come to any conclusion other than that the question of rail ownership seems to boil down at the end of the day to political dogma and ideology – with depressingly few people on either side being prepared to accept that some of their rivals’ views might actually contain some merit too. The RM’s experience is that most passengers really aren’t that bothered who runs a service or how much a company’s shares are worth. Unless he or she happens to be highly politically motivated, it makes little difference whether an operator is public or private as long as the trains turn up on time, seats are available and the fares don’t rise too much every year.